The present English translation by M.N. Dutt was written and published hundred years before. Shri M.N. Dutt translated into English many Purans and the Garuda Purana was one of them. It was first published in the year 1908. Then it was re-printed. Now the book is publishing its English translation with Sanskrit text. 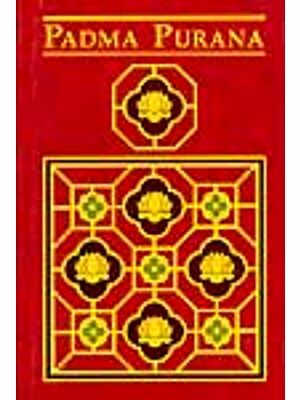 It is a medium size Purana consisting eight thousand verses. According to M.N. Dutt the book comprises three Samhitas viz. the Agastya Samhita, the Brhaspati Samhita (Nitisara) and the Dhanvantari Samhita. Each one of those Samhitas would give it a permanent value, and accord to it an undyeing fame among the works of practical ethics or applied medicine. The Agastya Samhita deals with the formation, crystallisation and distgisestive. Traits of the different precious gems and enumerates the names of the countries from which our fore-fathers used to collect these gems. The cutting, polishing, setting and apprecising etc. of several kind of gems and diamond, as they were practiced in ancient India, cannot but be interesting to artists and lay men, and the scientific traders unbedded in the highly poetic accounts of these original gems. 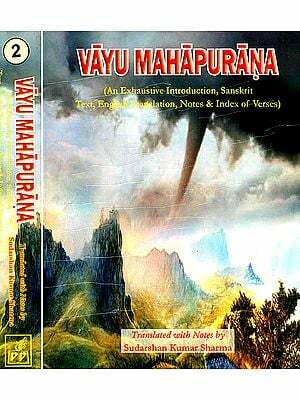 In his translation of Garuda Purana. M.N. Dutt has abandoned the Preta Khanda of the Purana which has been appended. It is a later addition to the Purana, He says 'Garuda-Purana' is one of the scriptured Puranas of Vaisnavism, and the Preta Khanda which we find in variously appended to the Purana in many of the manuscripts does not reflect the necessity of subsequently adding to it a Treatise on funeral rites or on punishment and reward after death. It is only to enhance reference in everyday life. It requests nothing more than an average intellect to detect that the part under reference (Preta-Khanda) is manifestly an interpolation, in as much as the subject had already dealt with in the chapters on. Thus the insertion of a more detailed and elaborate dissertation on the subject under style of Preta-Khanda, is an unnecessary repetition, which is bad in reason and rhetoric. The present English translation by M.N. Dutt was written and published hundred years before. Shri M.N. 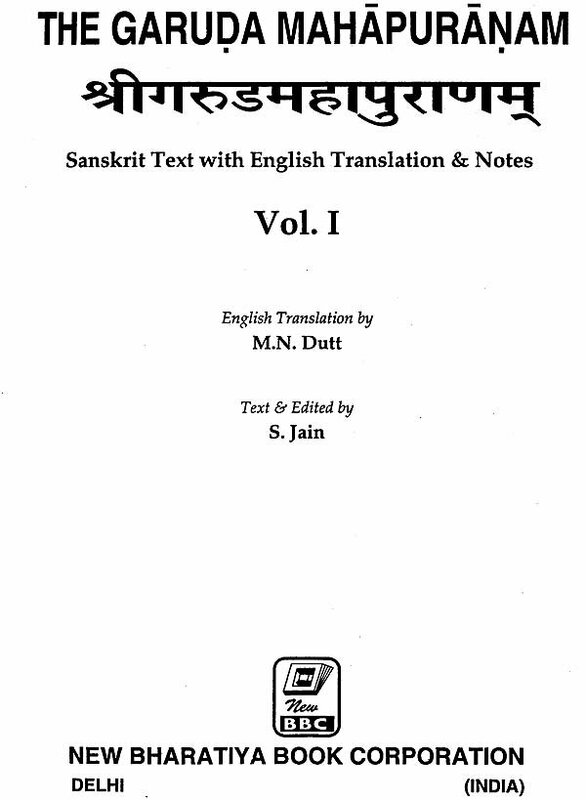 Dutt translated into English many Puranas and the Garuda Purana was one of them. It was first published in the year 1908. Then it was re-printed. Now the book is publishing its English translation with Sanskrit text. 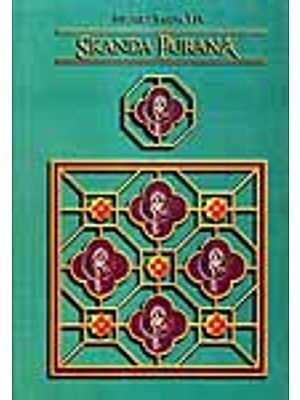 It is a medium size Purana consisting eight thousand verses. According to M. N. Dutta the book comprises three Samhitas viz. the Agastya Samhita, the Brhaspati Samhita (Nitisara) and the Dhanvantari Samhita. Each one of those Samhitas would give it a permanent value, and accord to it an undyeing fame among the works of practical ethics or applied medicine. The Agastya Samhita deals with the formation, crystallisation and distgisestive. Traits of the different precious gems and enumerates the names of the countries from which our fore-fathers used to collect these gems. The cutting, polishing, setting and apprecising etc. of several kind of gems and diamond, as they were practised in ancient India, cannot but be interesting to artists and lay men, and the scientific traders unbedded in the highly poetic acounts of these original gems. It will be welcomed even by the present days mineralogists. In these days of oriental research, it is quite within the possibilities of every or dent enquiries to make himself acquainted with the terms and technicalities of the science of our Rsis, and we are confident that any labour he may bestow of the subject in connection with the Agastya Samhitas will be richly remunerated. In his translation of Garuda Purana. M.N. Dutt has abandoned the Preta Khanda of the Purana which has been appended. It is a later addition to the Purana, He says Garuda-Purana is one of the scriptured Puranas of Vaisnavism, and the Preta Khanda which we find in variously appended to the Purana in many of the manuscripts does not reflect the necessity of subsequently adding to it a Treatise on funeral rites or on punishment and reward after death. It is only to enhance the utility of the work as a look of reference in everyday life. It requests nothing more than an average intellect to detect that the part under reference (Preta-Khanda) is manifestly an interpolation, in as much as the subject had already dealt with in the chapters on. Thus the insertion of a more detailed and elaborate dissertation on the subject under style of Preta-Khanda, is In unnecessary repetition, which is bad in reason and rhetoric. A few preliminary remarks on the history, scope and contents of the Garuda Puranam may be necessary. The Garuda Puranam may be safely described similar work o the Agni Puranam. Each of them treats of Para Vidya and Apara Vidya secular knowledge and metaphysical truths, and partakes more of the nature of a catechism of he then prevailing Brahmananism, or of what a Brahmana was required to know at the time, than of the Puranam proper, at least if we may be admitted to look upon the Ramayana or the Mahabharatam as the model of that class of literature. Superficially conforming to the Rules of Panca Sandhis, etc., the Garuda Puranam, like its sister work reflects but the knowledge of the Brahmanical world at the time, and had it used then as it have even now. Cakrapani Dutta has quoted many a recipe from it, and the Visnu Dharmottaram, according to several eminent authorities, originally formed a portion of the Garuda Puranam. All these factors emphatically demonstrate the fact that, the Garuda Puranam, was in existence even prior the tenth century of the Christian Era. On the contrary, we have reasons to believe that, hosts of Puranas and Upapuranas were composed in the age of Brahmanic reniscence, which immediately followed the overthrow of Buddhism in India. The Garuda Puranam, like the Agni, Siva, Padma, and other Puranas were the exponents of the victorious Brahmanism tried to tutelary deity of each sect with the attributes of supreme divinity or Brahman and to equip its members with a complete code of rituals, law and other necessary information’s regarding the incidents of every day life, subservient to, and in conformity with the Vedic literature. Thus each Puranam is the scripture of each sect of special, tutelary divinities, became a new school of law, medicine and metaphysics, etc., re-instating the old errors of the Vedic literature, as if to ignore the many advanced truths and principles of the later day Buddhistic science, and to confirm the victory of Brahmanism. It not only succeeded in its mission but also in completely revolutionising and modernising the vedic religion. Inter Hindu religion is an offshoot of the Puranic religion. the path of devotion and Lordship propounded in the Vedas and the Upanisads as against the path of ritualistic exercises, was followed more vigorously in the Puranas. Thus the Puranas freed the religion from the hands of the chosen few and spilled over to masses that were unable to understand the complexities of the vedic doctrines. In this way a socialistic approach is clearly visible in these ancient treatises, their prime concern was the common man and not the elite section of the society. These were devised as values of the liberal education for the masses, through the medium of interesting and beautiful stories, episodes and narrations, the Puranas presented the abstract subjects of the vedas and the Upanisads so that the common man may be benefited by their study. Here the Puranas have been a great source of the inspiration to the mass-mind especially of religious matters. For the orthodox Hindus, the Puranas are religious treatises of divine origin. A noticeable change can be discerned in the Puranas in social rites and customs, religious traditions and moral ideals and manners from that of the Vedas and others. The Vedic hymns of creations, of praise, portraying incidents connected with some ancient kings, may be taken as the nucleus from which arose, the value of the Puranas can be minimised by calling their avowed theme, the presentation of the history of the Guptas up to the end of the 5th century A.D. The Puranas are a source of valuable information for the ancient period of Indian History. Prior to Bharata war, history can be reconstructed with the Data available from the Puranas. The description of the incidents of the life of Buddha, however meagre and incidental it might be, and the occurrence of the name of Susruta in the medical portion of the Garuda Puranam leaves not the slightest doubt that its author was intimately acquainted with the Buddhistic literature of the age, both medical and Metaphysical. It is a settled fact of history that the Susruta Samhita, at least the recension of the Susruta Samhita by the Buddhist Nagarjuna, was written in the second century before the birth of Christ. Now, the Susruta Samhitas says that, the number of bones in the human body is three hundred. The Visnu Smriti (Institutes of Visnu) following the orthodox (Vedic) non-medical opinion on the subject gives it as three hundred and sixty-six. 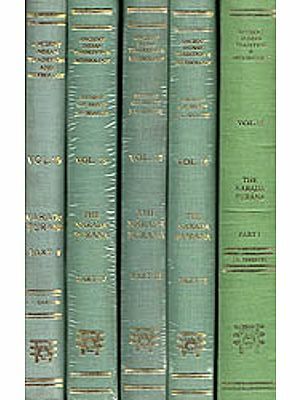 We know that Nagarjuna, the Buddhist redactor of the Susruta Samhita, mentioned in his recension of the work that there are "three hundred bones in the human orgnaism, but the followers of the Vedas say that their number is three hundred and sixty" which tallies with the number given in the Yajnavalkya Smrti. The author of the Garuda Puranam, whoever he might be, must have been sufficiently familiar with the works of Nagarjuna and other Buddhistic Medical Acaryas so as to be fully convinced of the truth of their statement, and attempted to make the Vedic number of skeletal bones as near to the truth as possible. This fact serves to throw a new light upon the date of the composition of the Garuda Puranam, It unmistakably points-to a period of history when the victorious Brahmanism once more attempted to restore the teachings of the Vedas in their pristine glory, and the truths of the Buddhistic science or metaphysics were still too potent a factor to be ignored or lightly dismissed a fact which supports our contention and lends a plausible colour to the view we have adopted as regards the probable date of the composition of the Garuda Puranam. Smith has fully utilized the Puranic data for reconstructing the chronology of the Sunga, Nanda and .Andhra dynasties. Above all Pargiter in his' Ancient Indian Historical Traditions opened the treasure-house of Puranic traditions for the use of a student of ancient Indian History. There is no doubt that the Puranas embody the earliest traditional history and that much of their material is old and valuable. They give us material for critical study of such diverse subjects as religion and philosophy, folklore and ethnology, politics and sociology. Taken collectively they may be described as popular encyclopaedia of ancient and medieval Hinduism, religious, philosophical, historical, personal and political matters. Siva and Visnu under one or other form are almost the sole objects that claim the homage of the Hindus in the Puranas departing from the domestic and elemental ritual of the Vedas and exhibiting a sectorial fervour and exclusiveness not traceable in the Ramayana and the Mahabharta. The etymological explanation of the term Purana given by that through which the old becomes new again. In a sense, Purana is old, but retains the spirit of newness by emphasizing the essential oneness of all men irrespective of their cast and creed, a sentiment which is modern in every age. The use of the term 'Purana' in the sense of a religious book dates back to the days of Chandogya-Upanisad wherein Purana was declared to be the fifth Veda. The Garuda Purana is a Vaisnava Purana and hence can be termed as Satvika Purana. It is enumerated in all the lists available in the Puranas, though these lists are not very ancient, yet they show the popularity of the Garuda, Purana in the Puranic literature. Also the authors of Dharmasastric digests and philosophical works quote extensively from the Garuda Purana, thus it holds a unique place among the Puranas. This Purana was told by Garuda it is discussed by the writers of Nibandhakaras. Indian mythology shows Garuda as the Vehicle of Visnu. This Purana was recited by Visnu to Garuda who in its turn narrated to Kasyapa, who passed it on to Vyasa and he taught to his disciple Suta. Suta recited this Purana to sages who assembled in Namisaranya in quest of knowlege. It describes the birth of Garuda from Vinata. The Agni Purana speaks of the Garuda Purana consisting 8000 verses, while according to die Matsya Purana and Narada Purana it comprised 18000 verses. Prof. Wilson believes that the Garuda Purana contains about seven thousand verses. It is quite possible to think that the original Garuda Purana, profusely referred to by the other Puranas, is lost to us and in course of time present Purana was compiled at a later date. It is more condensed than the Visnu and the Bhagavata Puranas. The vast nature of the subjects treated in this work, makes it an encyclopaedia of Indian Ethics. It frequently deals with the topics of dharmasutra. (whole of the achara Kanda). The description duties of different Varnas (eh. 93-106) given in this Purana is based on the description found in The (याज्ञल्क्यस्मृति). The chapters 168-172 are called (धन्वन्तरि संहिता )and seem to be borrowed from some earlier Ayurvedic text. Discourses between Suta and Saunaka and other Rsis in the forest of Naimisa-promises to narrate the Garuda Puranam. Sources of the Garuda Puranam Visnu asks Garuda to compose the Garuda Puranam. Suta describes the subjects dealt with in the Garuda Puranam. Order of Universal creation described by Narayana to Rudra. Creation of the Prajapatis, the progeny of Daksa described. Re-incarnation of Daksa in the form of Pracetas-Origin of the different races of men, the progeny of Kasyapa described. Description of the sun-worship as performed by the Self-origin Manu. Description of the mode of worshipping Visnu, the mode of spiritual initiation. The mode of worshipping the goddess Laksmi, description of the Nava- Vyuha form of worship. Description of the order to be observed in the course of worship, is the prayer of Visnu Panjaram. A brief discourse on Yoga. Enumeration of one thousand epithets of Visnu. Description of the mode of meditation on Visnu as well as of the sun-worship. Description of another form of sun-worship. Mode of worshipping the death-conquering deity (Mrtyunjaya). The Garua Vidya which is the cure for all kinds of snake-bite. Mantra- cure (curative formulas) of snake-bite are narrated by Siva. Mode of worshipping the Panicavaktra (five faced) manifestation of Siva. Description of another form of Siva worship. The worship of Ganapati, Sandal-worship. or Paduka puja) described. The mode of performing the rites of Kara-nyasa (location of the energies of different divinities in the different limbs by a votary by dint of occult and psychic force). Rites for neutralising the effects of snake venoms. The mode of worshipping the Gopala manifestation of Visnu-Mantras to be used in connection with the worship of Sridhara manifestation of Visnu. Elaborate description of the mode of worshipping the Sridhara manifestation of Visnu. Description of other forms of Visnu worship. Adoration of the five fundamental principles of the universe. Worship of the divine discs (Sudarsanam). The mode of worshipping the deities Durga, etc. Description of other form of Sun-worship. Mahesvara worship Enumeration of diverse incantation, Mantras (Nama Vidya) are made. Description of investing a phallic emblem with sacred thread (Siva-pavitrarohanam). Description of the rite of investing an image of Visnu with the holy thread Visnu-pavitrarohanam) Contemplation of embodied and dis-embodied God. Characteristic marks of Salagrama Stones, Adoration of the deity presiding over homesteads (Vastu), Essential features of a divine temple or of a palace. Installations of divine images. Discourse on Yoga and acts of piety. Discourses on charities and gift-makings, etc. Regulations of Prayascittas, Traits of conduct of men marked by the several kinds of Nidhis. Story of Priyavrata and incidental description of the Seven Islands of the precious are described.